An MP who has fought for stricter regulations to be imposed in the motoring sector to ensure drivers have adequate eyesight has been honoured. Sheffield Heeley MP Meg Munn was awarded Brake and Direct Line's Road Safety Parliamentarian of the Month Award for her campaign to introduce regular eye tests for drivers, which all stemmed from a 2009 incident. She was contacted by constituent Joy Barnes whose niece Fiona Buckley was knocked down and killed while crossing the road in 2008 by a driver with defective eyesight, and immediately started a campaign for driver eye tests to be carried out by qualified practitioners using a scientifically-recognised method. She argued that this should replace the current limited number-plate test, and called for drivers to be re-tested at least every ten years, at the same time as applying for a new licence photocard. Her campaign also aims to raise awareness among drivers of the importance of getting their eyes tested at least every two years to improve road safety. Since 2009, Ms Munn has lobbied the government by asking questions in Parliament and leading debates, and has received support from national organisations including Brake, Eye Health Alliance, Specsavers and The Optical Confederation. Each of these organisations has acknowledged that there is evidence to suggest that the current regime is inadequate in protecting the public from drivers with defective eyesight. 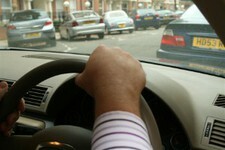 However, last February, the government announced proposals to make the current test even easier, by reducing the distance from which drivers have to read a number-plate to just 17 metres, with Ms Munn responding by working with the road safety organisation to call on the government to abandon its proposals and listen to public demand for regular eyesight testing. Last June, during National Eye Health Week, June 2011, the MP secured a Parliamentary Debate on driver eyesight testing, but Ms Munn voiced her disappointment at the response as the Minister defended current arrangements, although she noted that the debate helped to raise awareness of the issue among other MPs. Ms Munn also asked Road Safety Minster Mike Penning several questions in Parliament, and in September asked him to conduct a cost-benefit analysis of the replacement of the number-plate test with a comprehensive eye test by a qualified practitioner when taking their driving test. She claims that the cost of implementing regular, comprehensive eyesight tests would be minimal, while the benefits would be great. It could provide reassurance that drivers meet minimum standards to drive safely and helping to prevent crashes and casualties, which she notes are devastating to families and a huge cost burden on emergency services and the NHS. Ms Munn commented: "I'm delighted to have been awarded Road Safety Parliamentarian of the month. Having your eyes tested is such a simple thing, and we know it saves lives. I'd encourage all drivers to have their eyes tested regularly." She added that she also intends to continue to lobby the government until appropriate action is taken to ensure all drivers have the required standard of eyesight for driving on UK roads. Julie Townsend, Brake campaigns director, added that being able to see clearly is fundamental to safe, responsible driving. She explained: "As a charity that supports families devastated by road deaths and injuries, we recognise how vital it is to ensure all drivers have good eyesight." "We hope to see common sense winning through: to make our roads safer we need a scientific eyesight test carried out at the start of your driving career and regularly throughout it. We would like to thank Meg for her continued hard work pushing this vital issue."